News that Germany had just barely avoided recession in Q4 2018 despite widening concerns of the possibility in recent weeks made the Pound Sterling to Euro (GBP/EUR) exchange rate less appealing today. The German data was still weak, but the Euro (EUR) avoided further losses. Since opening this week at the level of 1.1426, GBP/EUR has been trending largely with a downside bias. GBP/EUR trended as low as 1.1374 on Wednesday morning, but Eurozone growth concerns have made it easier for the pair to avoid those lows. At the time of writing this morning, GBP/EUR was trending near the level of 1.1391. Amid doubts that the UK government will be able to pass its soft Brexit plan through Parliament in a debate planned for today, the Pound (GBP) is unappealing. However, Sterling’s losses were limited due to market concerns regarding Germany’s economy. It’s now been weeks since UK Prime Minister Theresa May’s negotiated Brexit deal was first voted down in Parliament, but it does not seem as if the government has been able to make any progress in making the deal more popular domestically. Various other amendments from MPs and lawmakers will be debated today as well, but it is unclear if any of them will be popular enough to pass. Concerns persist that the government is running down the clock on the Brexit process to pressure MPs into backing its plan. The formal Brexit date is still set for the 29th of March. Investors have found the Pound (GBP) unappealing amid this fresh Brexit uncertainty and fear that no progress has been made on the process in recent weeks. Germany’s economic growth has not been as strong as initially expected in recent months, and this is weighing heavily on market demand for the Euro as Germany is the Eurozone’s biggest economy. However, there was still some relief on Thursday as Germany’s latest Gross Domestic Product (GDP) growth rate projections showed that the nation had avoided a recession. German recession fears had weighed on the Euro over the past couple of weeks, so news that the nation had avoided recession helped the Euro to avoid losses versus the Pound today. Analysts noted that reasons for the poor performance in Germany’s economy included weaker trade and consumer activity. 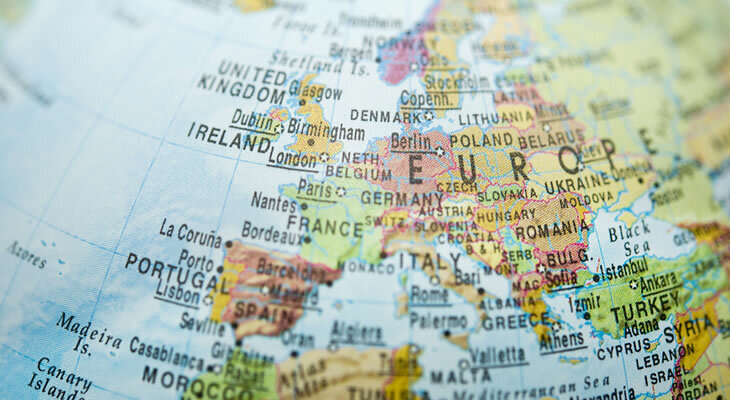 Overall, the data was still highly concerning for Germany’s economy and the Eurozone and as a result the Euro’s gains versus a weak Pound were limited. As UK Parliament heads for another day of Brexit debate, any surprising developments or notable amendments that find support are likely to be highly influential for the Pound. Any signs that Parliament will vote in favour of ways to make a softer Brexit possible, or even a second referendum of some kind, would make the Pound more appealing and help it to recover this week’s losses. The Euro, on the other hand, will continue to be driven by Eurozone data. Friday will see the publication of the Eurozone’s December trade balance results, which could bolster Euro support if they impress. Failing that, the shared currency may also find stronger support if its rivals like the Pound or US Dollar (USD) weaken. UK retail sales data, due for publication on Friday, could also influence the Pound to Euro (GBP/EUR) exchange rate if it surprises investors.